Sorry, I don’t have a time frame for Ivar’s story yet, but if the stars align, I hope it will be available in late 2016 or early 2017. I’m still trying to figure out who will finally reach the leader of the Immortal Vikings. He was a distant object of worship for Laura during her childhood, but she’s happy with Jurik. Ivar’s been impressed with Theresa and Christina, the partners of his brother Wulf and the Viking thief Stig, so maybe he’ll be ready to find someone of his own. But he’s been hurt so deeply, betrayed, tortured, and driven to lock every emotion inside for centuries in order to protect the Immortal Vikings, that even his laughter shocks those around him. I don’t know who can break through his walls. At some point in books three or four, Laura and Ivar’s sister-in-law Theresa are going to try to help Ivar connect with others. I think they’re going to talk him into a blind date. Or maybe a manicure. He’s developing some nail problems on one hand. Maybe a spa visit, for that skin trouble … could he open up to a manicurist? A masseuse? Or maybe there’s an attractive game warden in Louisiana looking into reports of a very large winged alligator on the loose? He’ll find someone who can see the man he used to be, before the responsibility of the Vikings was thrust upon him, the man he can be again with enough love and time. It is only as he becomes more a monster that he revives what was most human about him. Hopefully everyone will survive the final confrontation with Unferth and the new immortals he created, but I do like to kill people off. 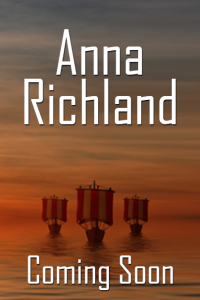 I currently plan for Ivar’s story to be the last full-length Immortal Vikings novel.